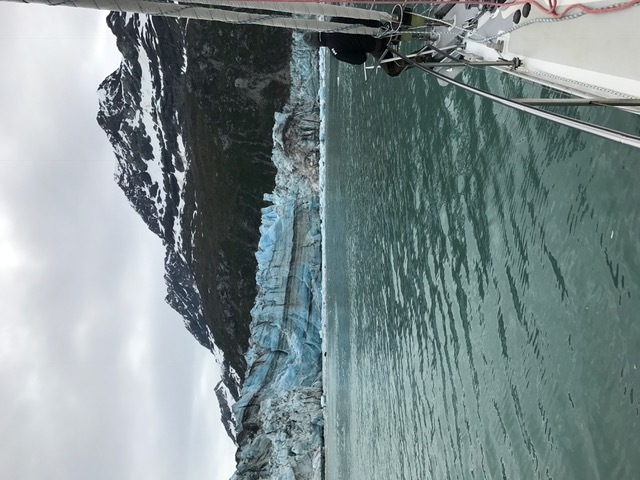 Deep into Glacier Bay we reach this glacier. 80m high and 1700m wide. Our last stop was at this glacier with a rare opportunity to film a 60" sequence of calving. What a stroke of luck. Spectacular calving video. As close as 160m of it's face, the aftermath waves did rock the boat quite well.